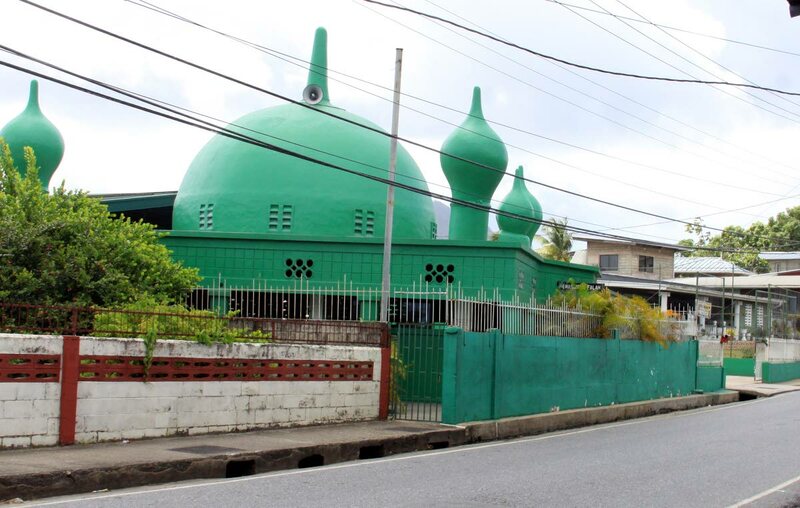 SOME Muslims who worship at the Masjid Al Falah in Arima yesterday said they are now afraid to worship at this mosque after a man was shot dead in his car which was parked outside the mosque on Saturday night. The members also told Newsday that while police were examining the body of Quincy “Tractor” Peters, 34, in his car, inside the mosque, the evening prayer was in session. Police said that at 7.05 pm, Peters was shot about 35 times and never got a chance to eat after breaking fast. When Newsday visited the mosque yesterday, one of Peters’ acquaintances said despite being a longtime follower of the faith, Peters only recently returned to the mosque after a two year absence and had hoped to use Islam to turn his life around. “I can’t say for certain the kind of person he was, because if I said he was a good person, that might not necessarily be truthful. But as far as the community is concerned, we all feel some apprehension and discomfort because of the killing. We are all human in the end and this kind of thing can happen to anyone,” said the relative who asked not to be named. Investigators described Peters as a “priority suspect” in a spate of robberies and murders and was a known affiliate of a Muslim-dominated criminal gang. A member of the mosque said that in these turbulent times, Muslims seek to strengthen their deen (faith) by praying and studying the Holy Q’uran, but he admitted it was difficult to do so when crime has reached the mosques and other places of worship in the country. Senior officials at the mosque confirmed that Peters was well-known to them but as a criminal in the Arima community. Like Peters’ relatives, the mosque officials also hoped that prayer and counselling would have prompted a lifestyle change in him. The officials said that several worshippers were deeply traumatised by the murder and one worshipper even said he had “lost his appetite”, despite hours of fasting. This is the first time, in recent memort, that a murder had taken place at the Masjid Al Falah, one of the oldest mosques in East Trinidad. Newsday understands that the mosque’s Imam Khalid Ali lives on the compound and addressed worshippers minutes after the shooting took place, seeking to comfort them and ask that they remain true to their faith and fast as the month of Ramadan continues. Reply to "Afraid to pray"